Can’t draw? Good! Neither can I. This is project for people like us! 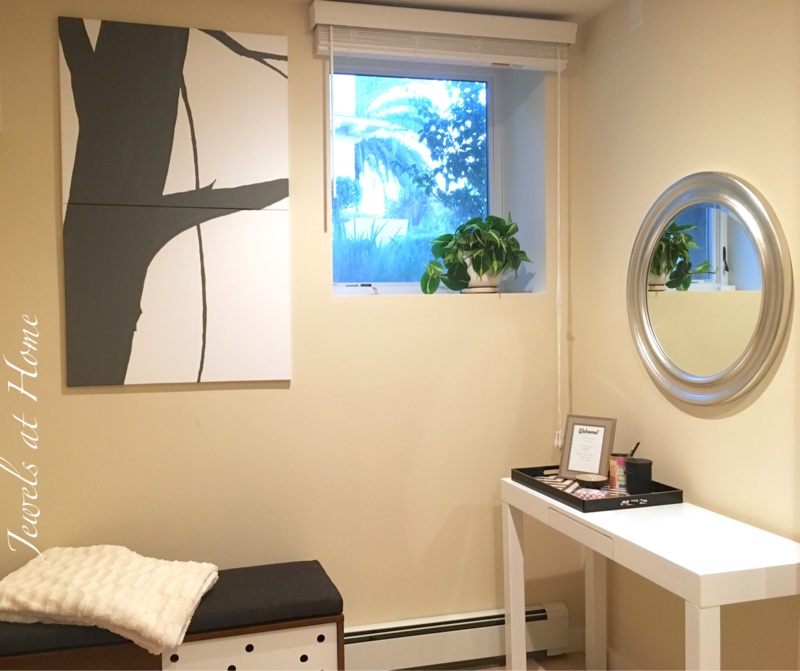 We created a basement guest room with our renovation a couple of years ago, and with my sister coming to visit soon, I wanted to put some finishing touches on it. 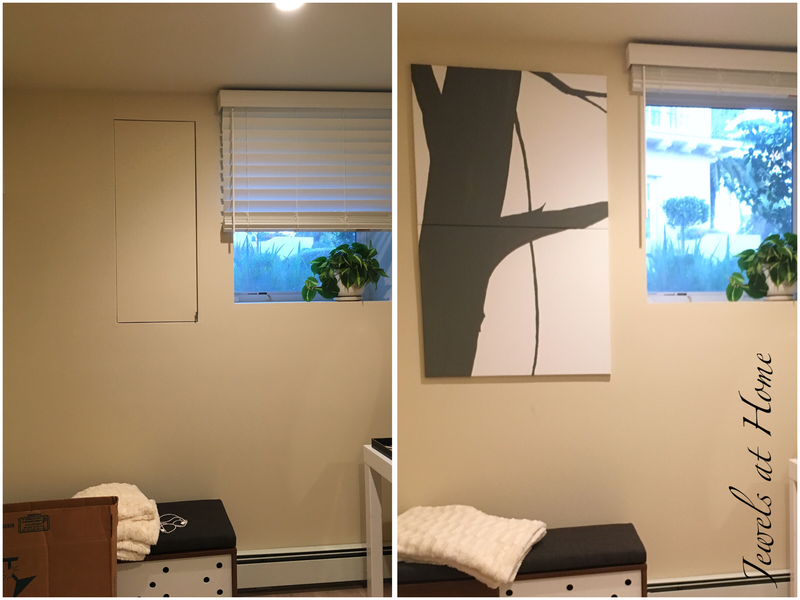 One challenge was how to hide the access panel for our water shutoff. Another challenge was to make this subterranean room feel more airy. 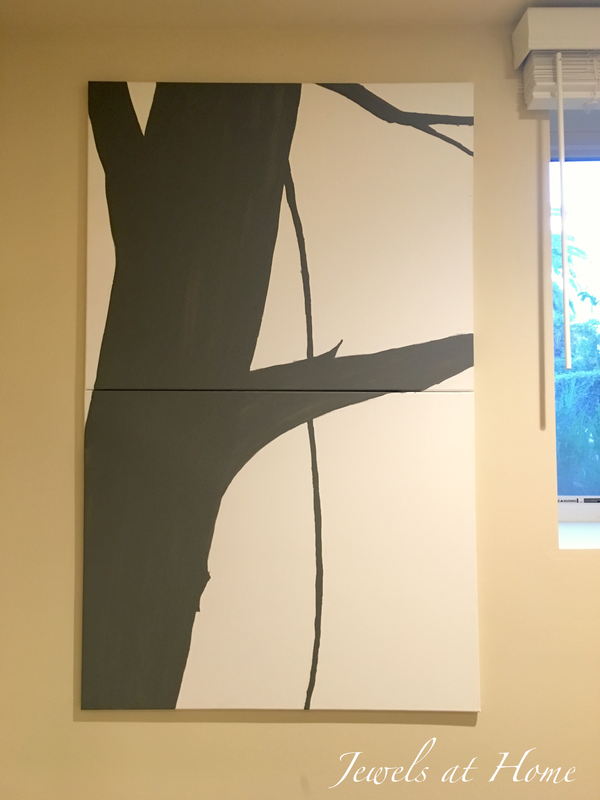 I solved both problems with this painting – the canvas covers the panel door, and the bright tree silhouette makes the room feel more open. My inspiration for this painting was the beautiful work of Celine Ziang. 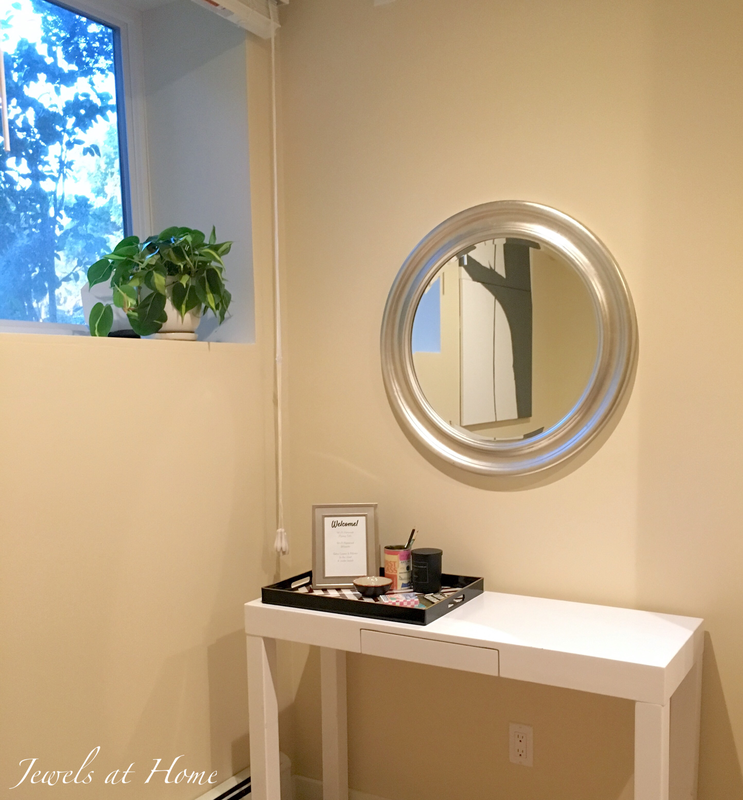 While mine is a far simpler version of her gorgeous pieces, it was fun to create something made just for our space. It almost maybe feels like you are looking out of a treehouse window! Hope all my fellow non-artists are feeling inspired!